A pumpkin recipe? 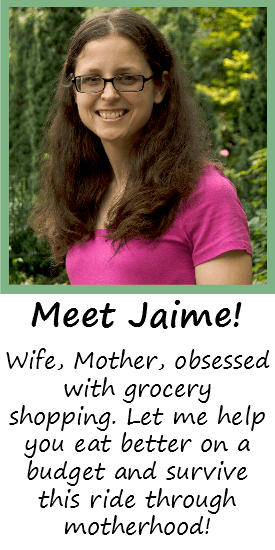 On this blog? Unheard of! 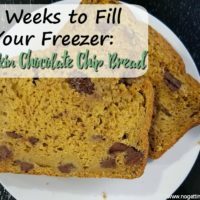 I found this recipe a few months ago and when I made them the first time, I was absolutely hooked. 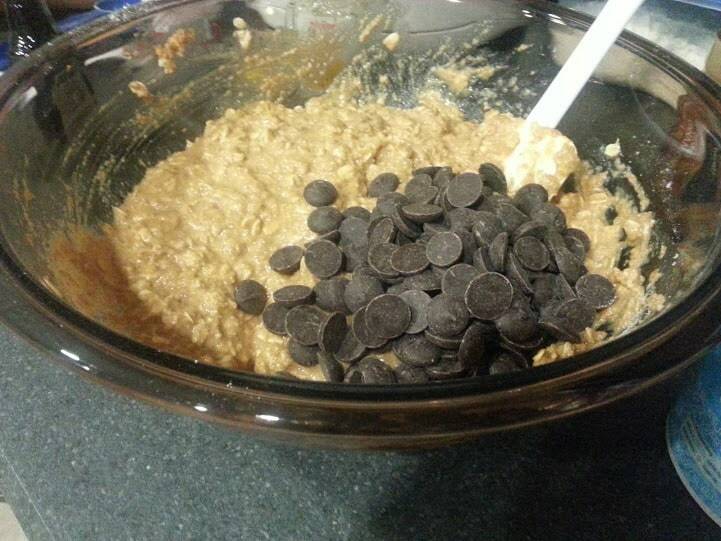 The pumpkin mixed with huge dark chocolate chips, mixed with lots of oats… I totally ate them for breakfast. Oats are healthy, right? I’ve had people ask me for the recipe, they’re just so amazing. 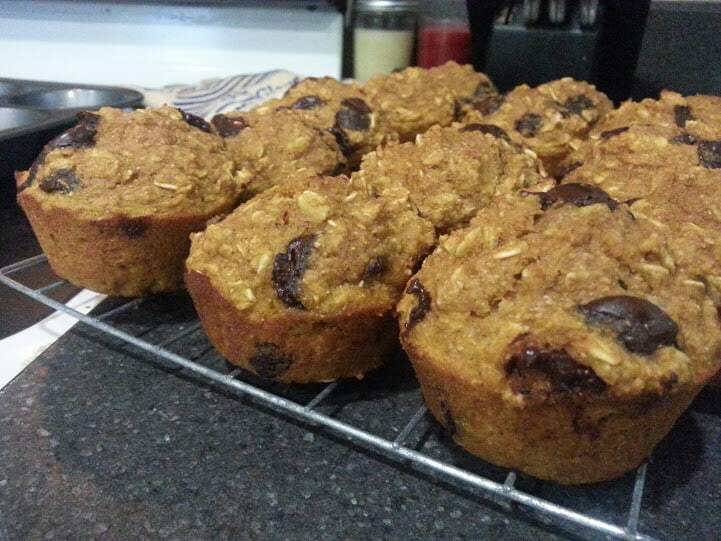 Let me share how I make these awesome pumpkin oat chocolate chip muffins. Start by soaking the oats in the milk for 10 minutes. The oats just soak up the milk and make them really soft. 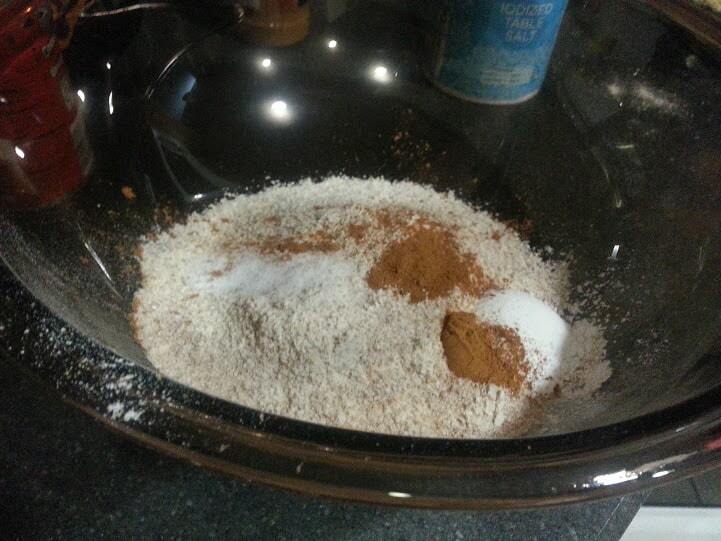 Mix your dry ingredients together, then add the wet ingredients and the oat mixture, then stir just until combined. 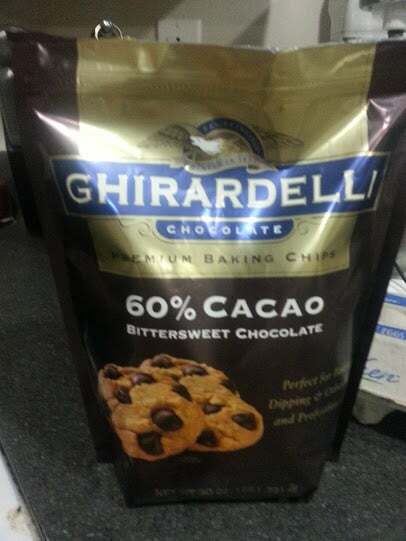 Next, add the chocolate chips. 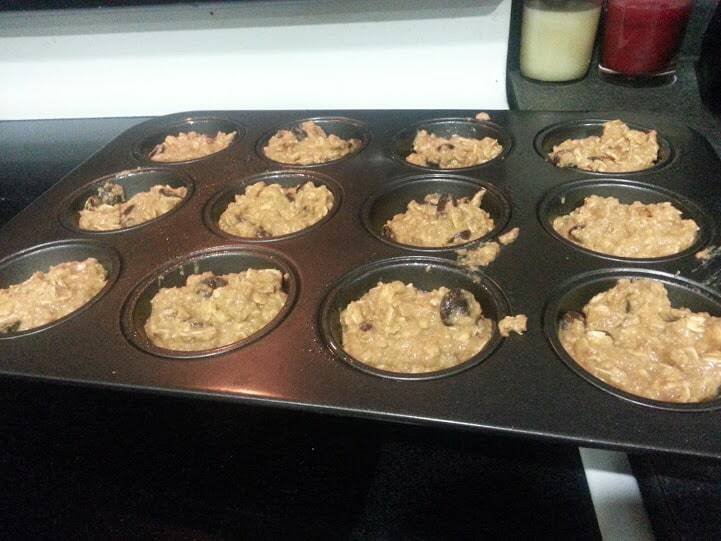 These are the ones I used for the muffins. I found these at Sam’s Club, and I don’t know that I’ll buy another kind again! 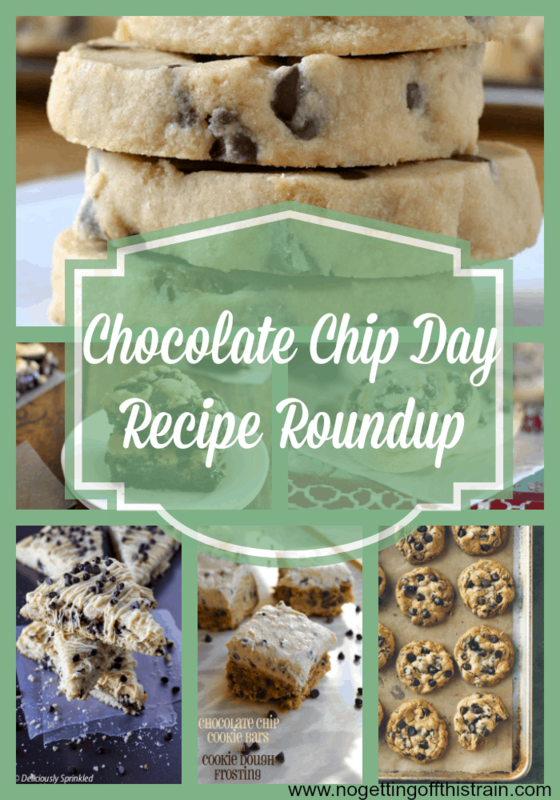 Dark chocolate is my absolute favorite; if you prefer, you can use milk chocolate, or just omit the chocolate chips altogether. But really, what’s the point if it doesn’t have chocolate chips? Grease a muffin tin and fill them almost all the way to the top. 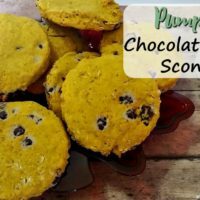 I found that these actually make about 15 muffins. Bake in a 400 degree oven for about 15 minutes or until a toothpick comes out clean. These are seriously so good! Great for breakfasts, snacks, or whatever Fall occasion you may have this year. Pumpkin oat chocolate chip muffins are an easy, delicious Fall recipe! 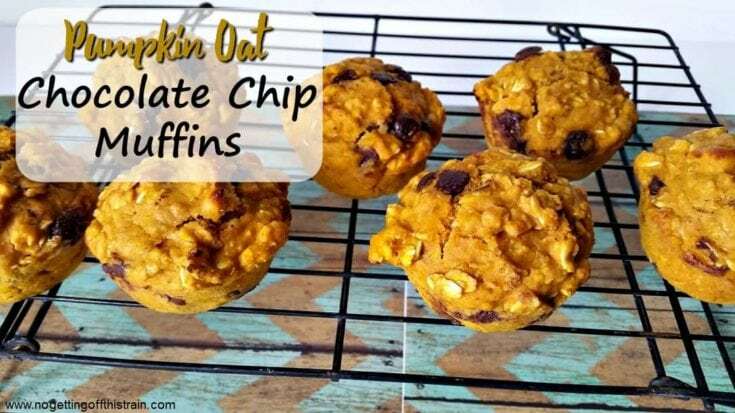 Great for breakfast, snacks, or dessert for the colder months! 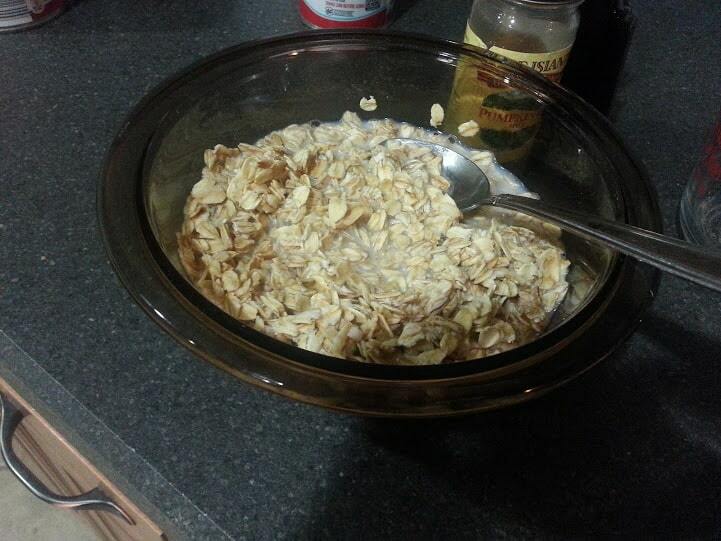 Mix oats and milk in a medium bowl and let it sit for about 10 minutes. In a large bowl, combine the dry ingredients. Add the wet ingredients and stir. Pour mixture into a greased muffin tin and bake for 15-18 minutes until a toothpick comes out clean.